Last year, I did a project about CHEATERS for my online magazine class. It was a story about powerful men who cheat accompanied by a photo slideshow featuring various notorious cheaters including Tiger Woods, Bill Clinton, Kwame Kilpatrick, John Edwards, Jesse Jackson, Elliot Spitzer and a host of others. Check out the story and slideshow here. But with all the news of infidelity lately, it seems I may need to update that project. The most recent apologist is Anthony Weiner, 46, the combative Democratic congressman from New York. After lying for 10 days, he admitted in a tearful press conference that he had sent lewd photos to several women on Facebook and Twitter. 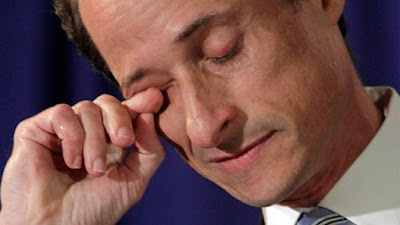 He is married to Hilary Clinton's popular aide, the beautiful Huma Abedin. They were married a mere 11 months ago in a ceremony officiated by former president Bill Clinton. News reports have noted that Abedin, 35, is pregnant with the couple's first child. 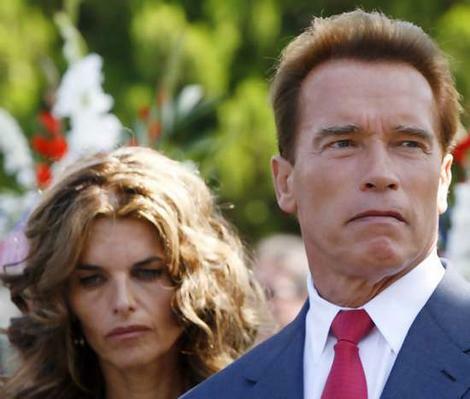 The Weiner news came along just as the public grew tired of talking about Arnold Schwarzenegger. The former California governor admitted having a years-long affair with his housekeeper, Mildred Baena. In fact Ms. Baena, who was also married, gave birth to Arnold's son just a few days after his wife, journalist Maria Shriver gave birth to the couple's fourth child. And just a few weeks ago, Bishop Eddie Long settled out of court with his accusers. As you may recall, last fall four young men accused the bishop of sexual coercion. They claimed that the mega-church pastor took them on trips and gave them a number of luxury items including cars, clothes and jewelry. The settlement is rumored to be in the millions. But my mind isn't on the men right now. It's on the wives. Most of these men are married to beautiful, smart, ambitious women — Hilary Clinton, (the late) Elizabeth Edwards, Silda Spitzer, Maria Shriver and now Huma Abiden all have resumes that would equal their husbands. Until recently, we've seen these great women stand stoically beside their husbands - the only support in a man's fall from grace. So what gives? Why would these men risk everything — their career, their family, their reputation — for a few nights of pleasure? "Smart women are boring," a male friend told me. "I mean, those women they are cheating with have degrees in stuff yall don't," he said laughing. What do you mean? I asked. "They will do stuff smart women aren't willing to do," he explained. So is that the deal? These men marry the "good" girl - the well-educated, ambitious, career-driven mother of their children — and keep a few on the side to satisfy their sexual fantasies?